to Advantage Electronics. Please expect a reply within 1 business day. Please do not include me on any mailing list. Advantage Electronics will refurbish, repair and maintain your product throughout its life cycle. We work with you to tailor a refurbishing program that saves you time and money. We ensure that end-of-life programs are properly executed. We excel because of our extensive inventory of repair components, quick turnaround time, and qualified and experienced technical staff. 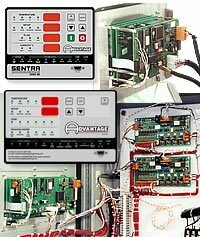 To send an Advantage Engineering instrument for repair, please Click Here. email: sales@AdvantageElectronics.com Site Map ©2013 Advantage Electronics, Inc.